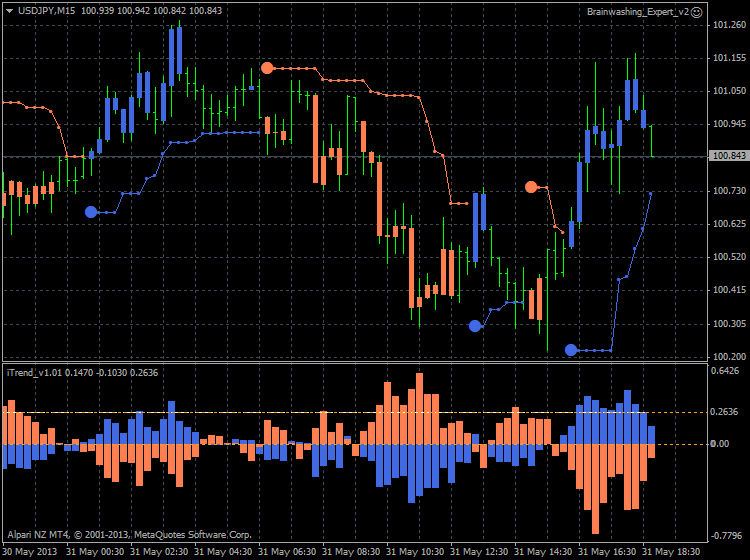 UniEMA_v2 indicator for Metatrader 4 was programmed for Premium Trading Forum. Now we have the moving average with an effective universal algorithm that can help to build any of known MAs based on EMA. The unique formula of the smoothing factor allows to get very smooth curves with any number of sequential smoothings without additional lag. 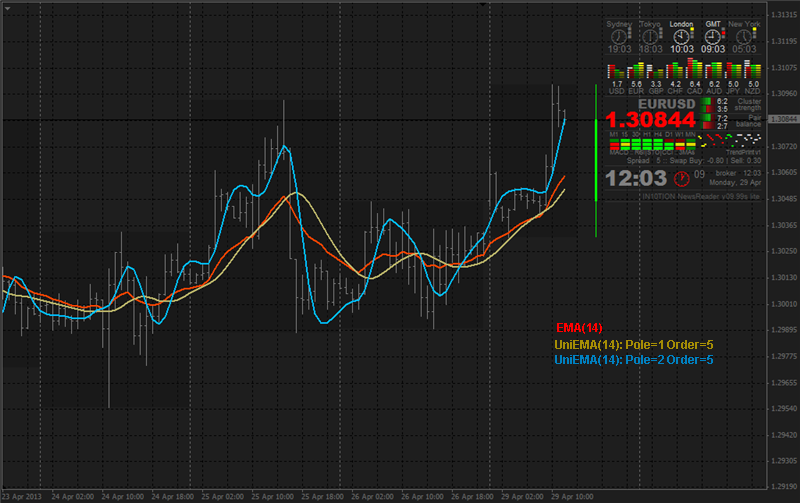 UniParabolic_v3 indicator for Metatrader 4 was programmed for Premium Trading Forum. As you know, the well-known Parabolic SAR is based on the EMA and no one didn't try to use, for example, DEMA or T3 in this indicator because of algorithm complexity. However the UniEMA allows to solve this task very easy and now you can use huge number of combinations of moving averages in the Parabolic SAR. StepMAExpert_v1.42 EA for Metatrader 4 was uploaded for Premium Trading Forum. This EA was uploaded together with the settings for 5 pairs M30 timeframe. Those settings are the results of profitable trading by this EA for few years on those 5 pairs. 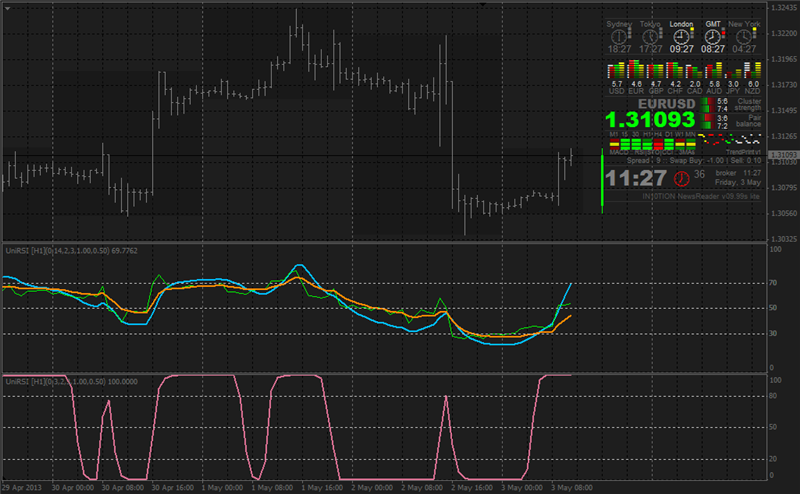 UniMACD_v2 indicator for Metatrader 4 was programmed for Premium Trading Forum. Now we have an effective universal algorithm that can help to build any of known indicator. The unique formula of the smoothing factor allows to get very smooth curves with any number of sequential smoothings without additional lag. The channel of the standard deviations regulated by LookBackPeriod parameter and coefficients for the upper (UpperMultiplier) and lower (LowerMultiplier) bound of the channel. Fractal Zone is regulated by FractalSize, LookBackPeriod, StrengthLevel and WeaknessLevel parameters. Dynamic Zone is regulated by LookBackPeriod, StrengthLevel and WeaknessLevel parameters. PreSmooth options with PreSmoothMode selection. ChannelMode options: Channel Mode: 0-default,1-similar to Fractal Chaos Bands. WarningMode alerts (on open bar) to be switched on or off. Up Breakout Arrow alert and Down Breakout Arrow. Serge25 and bilen1 like this. 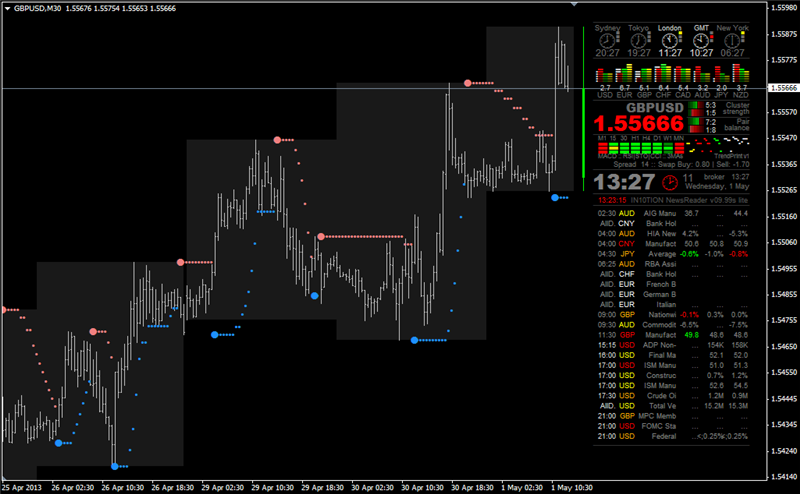 UniAbsoluteStrength_v2.5 on chart indicator for Metatrader 4 was programmed for Premium Trading Forum. It's one more kind of AbsoluteStrength which allow to see how this indicator works on the price chart. 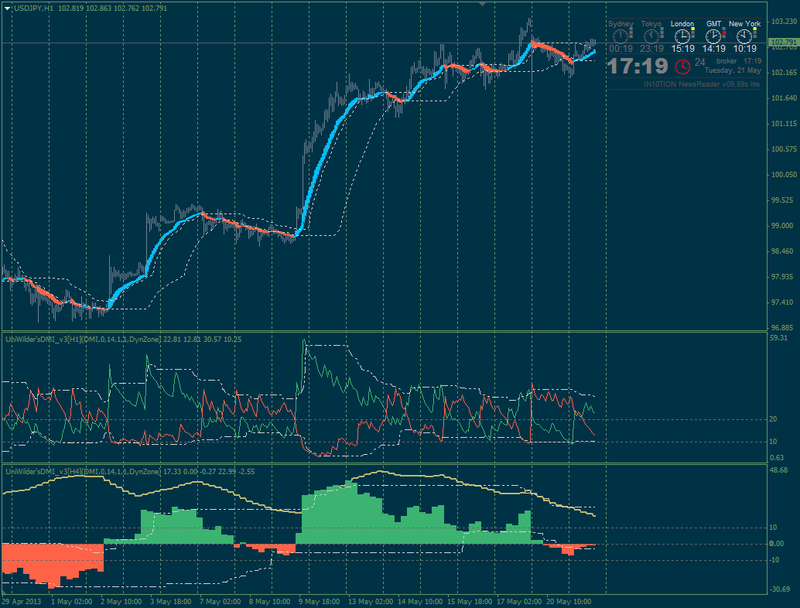 This indicator differs from the known RSI Onchart and Stochastic OnChart because you'll see the Bull and Bear lines with the blue/red histogramms that show the trend direction and the trend strength. most of the settings are self expalined.